Presented by Australian Venue Co.
All proceeds will be donated to Sacred Heart Mission's Dine with Heart Campaign. Sacred Heart is a not-for-profit organisation helping thousands of people experiencing homelessness to rebuild their lives. 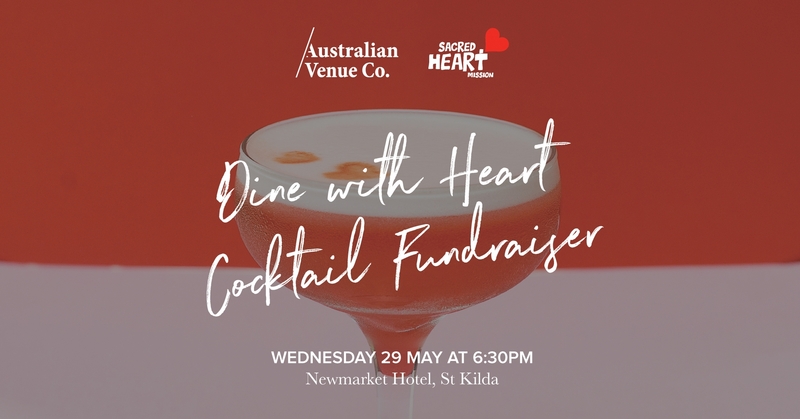 The Dine With Heart campaign involves Melburnians supporting those in need through their love of food - whether it be dining out at a participating restaurant or attending a fundraising event such as this one. Every $4 raised provides a nutritious meal for someone in need at Sacred Heart's Dining Hall.